The State Bank of Wynnewood believes in the future of the people that it strives to serve. 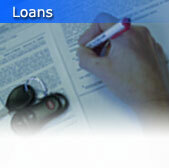 So much so that we offer a variety of loans to serve the variety of needs that our customers have. We understand that it takes money to buy a home, start a business, purchase a car and more. But we do more than just understand; we help you reach your goals by providing you with the funds that you need. Personal Loans – Loans to individuals for all types of purposes to include: purchase a new boat, buy a car, take a family vacation, remodel your home or take care of unexpected medical expenses. Business Loans - For those persons starting a small business, entrepreneurs needing operating capital, business owners needing cash for inventory and more. Real Estate Loans - For home, business and commercial or private development, including short-term, long term, variable rate and fixed rate loans. Agricultural Loans - To purchase livestock, crops, real estate, equipment or operating capital. These loans are also available in short and long-term tenures. If you don’t see the loan type that you’re looking for above, contact us at (800) 752-2624 or (405) 665-2001, or email us at webmaster@sbwok.com and we’ll try to develop a loan to fit your specific needs.